The bee is the most studied creature on the planet after man, and down the ages this insect and its honey have been harnessed by doctors, philosophers, scientists, politicians, artists, writers and architects as both metaphor and material. In her buzzing narrative, Hattie Ellis tells how all these people have found inspiration in the honey bee. 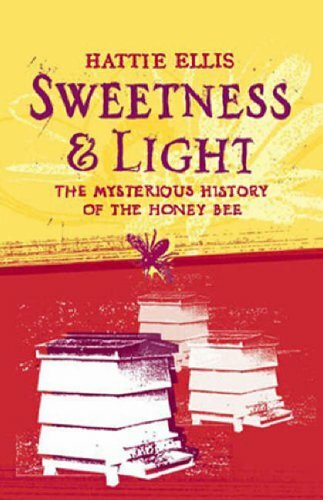 We also discover some of the mysterious ways of bees - how they can make up to 24,000 journeys to produce a pound of honey, with each bee producing one teaspoonful in a lifetime; we see how, charmingly, they communicate by dances; and we look under the lid of the hive to find as many as 100,000 bees living and working in total discipline. But we witness their dark side, too - such as the savage, untamed energy of the swarms of killer African bees that are sweeping through America. We also explore some of the many unsolved questions surrounding the honey bee, some of them at the very cutting edge of contemporary medical research. The bee existed long before man; and without bees, we would soon start to die. Hattie Ellis shows us how this small insect can tell us more about ourselves than any other living creature.